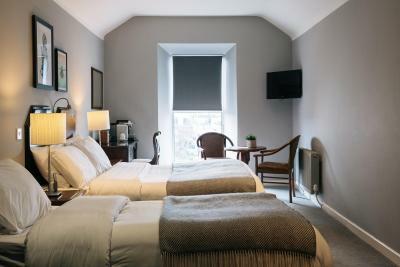 Lock in a great price for Haddington House – rated 8.8 by recent guests! Complimentary upgrade. Room 203 was magnificent. Amazing views over Dunlaoire harboor. Excellent bathroom. Teaa & coffe facilities super. 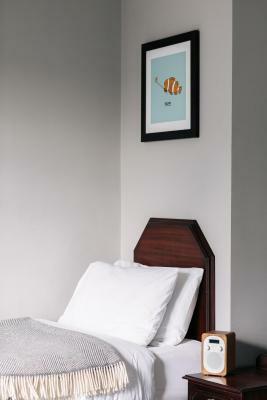 Comfortable bed. . Free parking, private & convenient. Highly recommended. 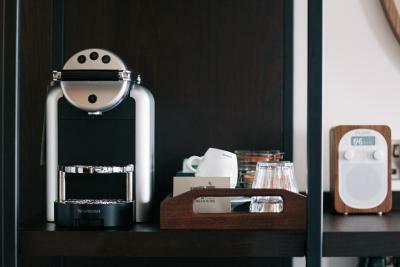 Beautiful, well equipped rooms with added bonus of a proper coffee machine and capsules. Nice touch of radio playing when entering the room. There for a works Christmas Party - Food was excellent. The restaurant inside the hotel was amazing, had amazing staff and food. Cocktails a bit overpriced. The hotel was in an excellent location and convenient to the town and transport. The room was lovely with views of the sea and had everything you would need - TV, fridge, safe, hairdryer, good mirrors and toiletries. Monica at the front desk was so friendly & helpful. I requested a fan upon making a reservation,it was not only available but in my room! Beautiful view,soft sheets a wonderful location. We ordered a veg pizza ,very good & an espresso machine! Views incredible. Little touches in room like great coffee machine and excellent toiletries added to already abundant charm! The hotel is located right on the water. Beautiful location and amazing views of the water and sunrise. PLENTY of coffee in our room, and they let us check in early which was just wonderful. The rooms and bathrooms were a little old but clean and charming and the entire hotel was beautiful. Would absolutely stay here again! Haddington House This rating is a reflection of how the property compares to the industry standard when it comes to price, facilities and services available. It's based on a self-evaluation by the property. Use this rating to help choose your stay! 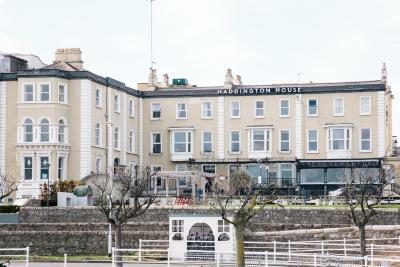 One of our top picks in Dun Laoghaire.Overlooking Dublin Bay, Haddington House offers rooms with private bathrooms in Dun Laoghaire’s town center, just off the main street. Free, limited parking is available onsite. 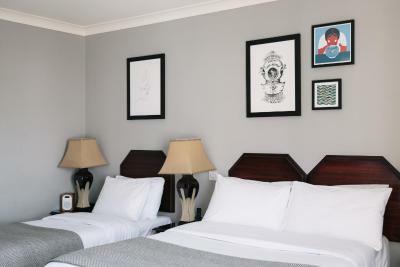 A flat-screen TV, free Wi-Fi, hairdryer and tea and coffee making facilities are provided in each room. 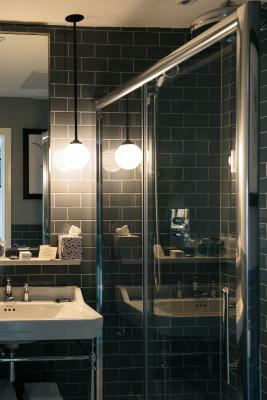 All rooms also have a private bathroom with a shower. 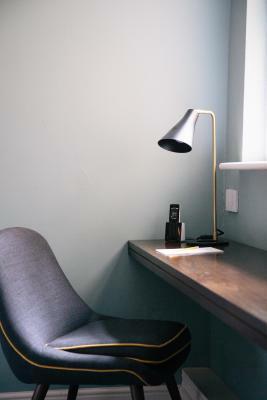 Dun Laoghaire DART station is just 5-minutes’ walk away from Haddington House and provides regular rail connections to Dublin’s city center and the O2 Arena in just 20 minutes. The Aviva Stadium and the RDS can be reached after a 10-minute DART rail journey. A full Irish and continental breakfast buffet is served in Oliveto Osteria, the hotel's new Italian restaurant and bar serving authentic Italian dishes including wood-fired pizzas, and Italian cocktails. This property also has one of the top-rated locations in Dun Laoghaire! Guests are happier about it compared to other properties in the area. This property is also rated for the best value in Dun Laoghaire! Guests are getting more for their money when compared to other properties in this city. 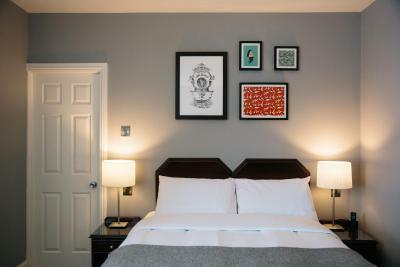 When would you like to stay at Haddington House? Rooms are 20 square yards. This room has free WiFi access. Rooms are 22 square yards. This room has free WiFi access. 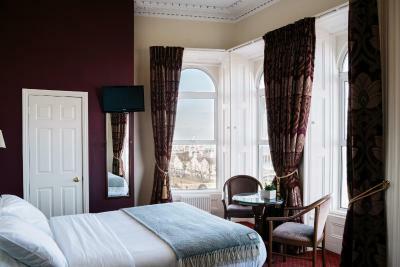 This room is located in a 19th century town house with sea-views over Dun Laoghaire Bay. Features include wonky floors, odd shaped rooms and rambling halls. This room has free WiFi access. House Rules Haddington House takes special requests – add in the next step! Haddington House accepts these cards and reserves the right to temporarily hold an amount prior to arrival. The location was perfect, we could walk everywhere. We arrived by train which was just around the corner. We were upgraded to a lovely large room, very comfortable. We both enjoyed the hot breakfast. Room 408 has an infestation of pigeons in the roof space. Noise begins at 0630 and continues all day. You moved us to room 415 and this was great. From 415 it was possible to see the pigeons getting in and out through a hole in the roof slates. Too often there was limited wifi access which for my online business is a must have! Unfortunately the only but very important negative. Always stay here when we come to Dun Laoghaire. Never been dissapointed. Stunning location by Dun Laoghaire pier. Quintessential Dublin warm welcome and experience from Emma, Sheila and team. Fabulous room for team events. Amazing dinner at Olivetto! Will be back. Restaurant a bit noisy during evenings on the weekend but could still sleep so it didn't bother too much. Breakfast was great, room very cosy with very nice view. Bed comfortable.